An entire family in Glenview suffered carbon monoxide poisoning when they say poisonous fumes from a power generator leaked into their home Monday night. The Sulski family narrowly escaped a deadly encounter with dangerous carbon monoxide levels that seeped into their home from a generator that the family uses on occasions when the power goes out. Thousands of ComEd customers in the Chicago area have been without power since Monday's storms. "I woke up with a splitting headache and realized everyone else did too," said Shamelle Graybill, a sister-in-law living in the house. The Sulski household woke up on Tuesday in a weak state, crawling their way to safety outside of the fumigated house. 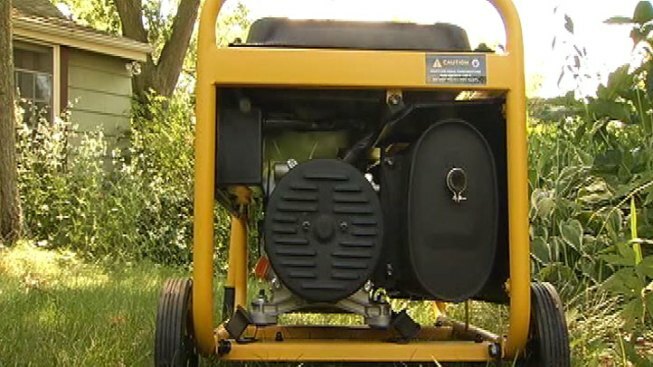 A Glenview family came dangerously close to a deadly encounter with a home generator when carbon monoxide-filled fumes came inside their house. The family had made sure to keep the generator the recommended 15 feet away from the house, but Robert Sulski believes the fumes could have entered the house through a window that the family had left open for an air conditioning unit. The family went through a few hours of oxygen therapy at the hospital and are said to be back in normal health. Their house has been aired out by the fire department. Power was restored to the Sulski home Wednesday, but several of their neighbors are still waiting to have electricity restored.